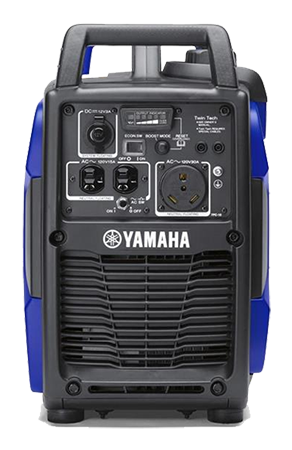 Offers high power output, sophisticated quiet technology, rich features and rugged design. 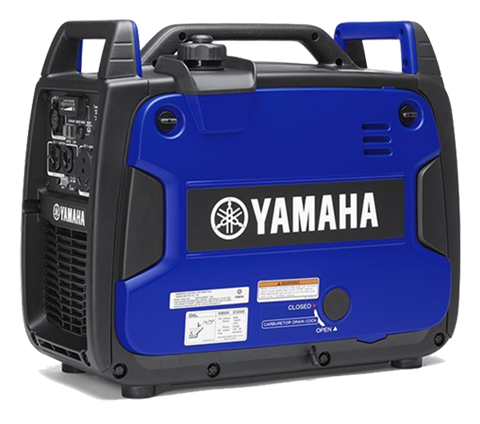 Powerful Yamaha 79cc Engine - Provides high power output. 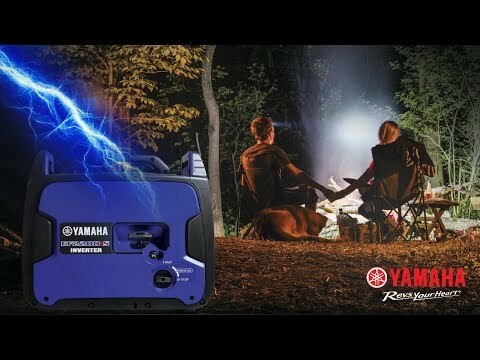 Yamaha Quiet Technology - Outfitted with Yamaha sophisticated muffler for quiet operation. 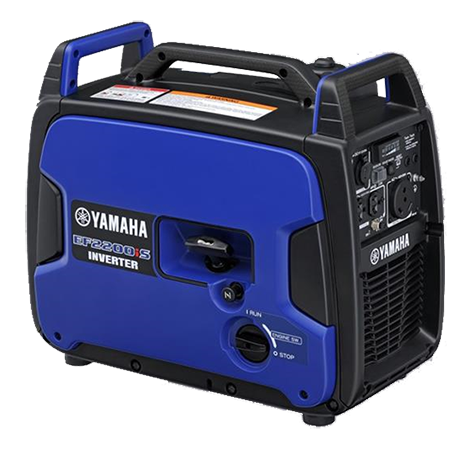 Twin Tech Parallel Function - Connect two EF2200iS generators in-line with a Twin Tech cable for rated 30 AMPS of power. Standard RV Outlet - No more searching for the right adapter. Tri-Handle - Makes loading, unloading and moving the unit a breeze. Smart Dial Knob - Simple and easy start-up. Smart Throttle - Automatic load sensing adjusts power to device needs. Illuminated Multi-Function LED Display - See generator status at a glance both day and night. DC Outlet - Flexibility to charge and use devices. Overload Reset Button - Easily restore power without shutting down the unit. Yamaha Easy Carb Drain - Prevents stale fuel issues and prepares for long term storage. Tool-less Rear Panel - Easily access engine compartment and perform maintenance. Fuel Gauge - Easily see fuel level at-a-glance. 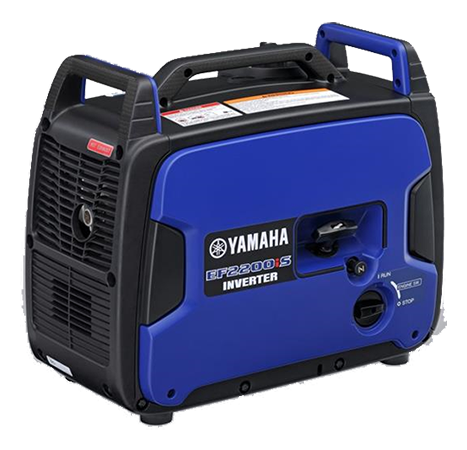 The EF2200iS Inverter Generator boasts a rugged design with a powerful high output Yamaha MZ80 engine. 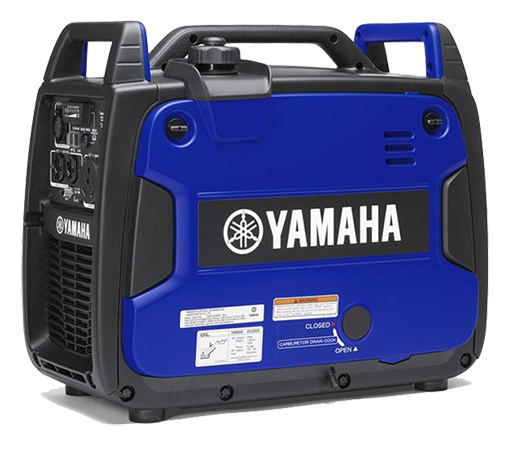 The EF2200iS offers high power, sophisticated quiet technology, rich features and a rugged design. It weighs a mere 55 lbs., and with the tri-handle design is easy to transport. 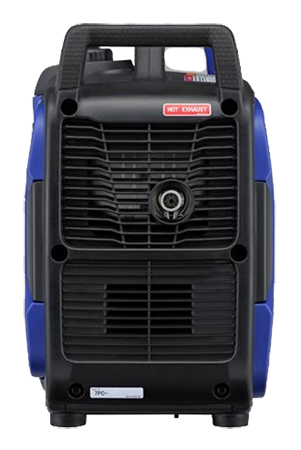 If you need more power, the EF2200iS has a convenient Twin Tech parallel function allowing you to connect two EF2200iS units together to provide 30 AMPs of rated power. 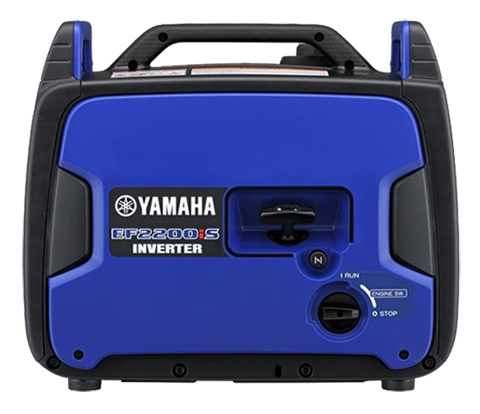 The EF2200iS was built with the RV Camper in mind, incorporating a standard RV outlet as a standard plug meaning no more searching for the right adapter to power your RV. A design makes moving around the campsite or worksite a breeze with the tri-handle design - designed for two people to easily move the unit. Starting and stopping the unit is simple now with a Yamaha Smart Dial. Long Run Time - The EF2200iS features Smart Throttle, a load sensing rpm control that allows greater fuel efficiency and noise reduction by automatically adjusting engine speeds to match the load. It will run up to 10.5 hours at 1/4 rated load on a tank of gas. The all LED Illuminated Control Panel makes it easy to check the status of your generator both day and night. The control panel features a multi-function display as well as an illumination light that cascades over the entire control face of the unit for easier low light operation. 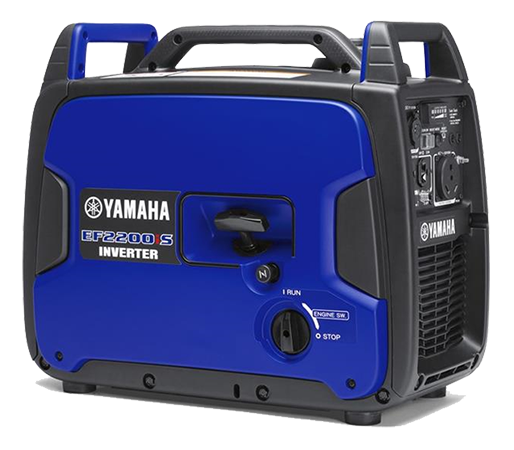 Integrated into the control panel is a regulated DC socket outlet allowing more devices to easily connect to the generator. 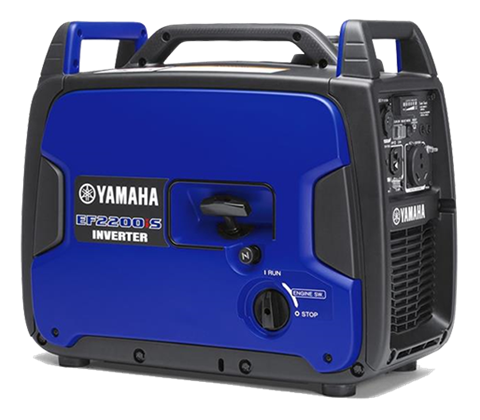 In the event of a power overload, the EF2200iS features an Overload Power Reset enabling the device to restore power without shutting the unit down by holding down the reset button for up to three seconds. The EF2200iS features the Yamaha Easy Carburetor Drain that allows you to empty the fuel from the carburetor to help prevent stale fuel problems and prepare the unit for long term storage. A convenient tool-free maintenance panel allows you to access critical engine components for easy service of your unit. Fuel Gauge - allows fuel level to be seen at-a-glance. 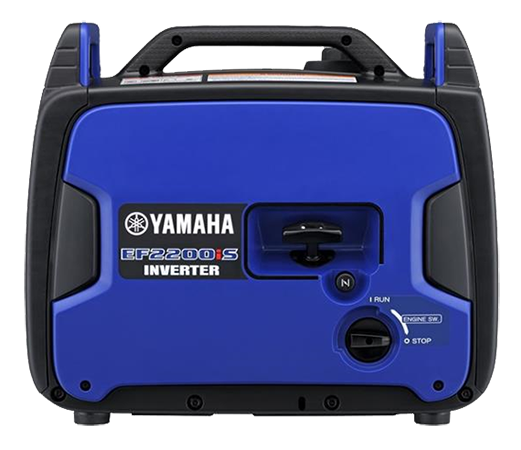 The Yamaha EF2200iS inverter generator supplies clean, high power output featuring Pulse Width Modulation (PWM) with its inverter system.